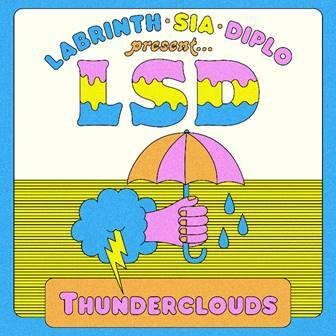 LSD, the collaborative project of Sia, Diplo and Labrinth, has unveiled their new addictive song “Thunderclouds” in the new Samsung Galaxy Note9 television commercial. You can watch the television commercial below. LSD evolved as a natural kinship amongst artists, started by songwriters Labrinth and Sia. They came together one night to write a song and quickly realised there were many more waiting to be penned. Diplo joined them subsequently. Their debut album will be released via RECORDS/Columbia later this year.